What is it about lentils that makes us love them so? Is it that they're a great source of protein and amino acids? Maybe it's their folate, iron, vitamin B and fiber. Perhaps it's that they're a cheap and delicious little buddy that you can use in shepherd's pie or chili... hard to say. But I can say with confidence that this post is dedicated to the vegan's best friend: The Loyal Little Lentil. 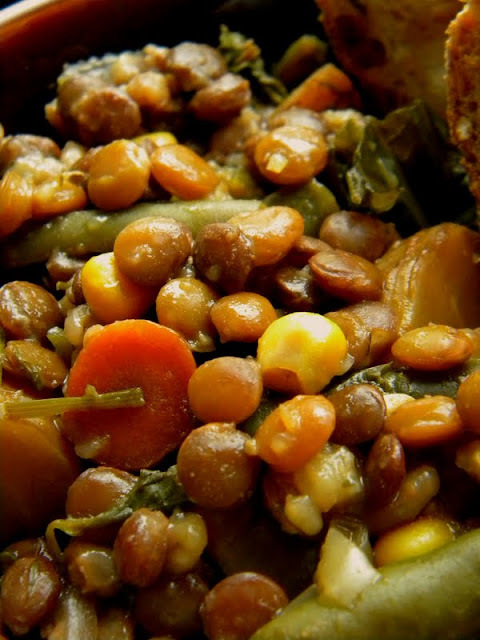 I'm not going to pretend to be something I'm not, and try to wax intellectual about the nutritional requirements of being vegan and how we need to make sure we get enough B vitamins, iron and amino acids - three things lentils are eager to share. But I will tell you this recipe also has kale in it, which if you haven't heard, is like a wonder vegetable! I mean it has beta carotene, vitamin C, and calcium. Throw in the root vegetables and you've got a whole big bowl of buddies watching your back all week and making you feel a little better about indulging in some Vegan Cheesecake or Caramel Sticky Rolls. 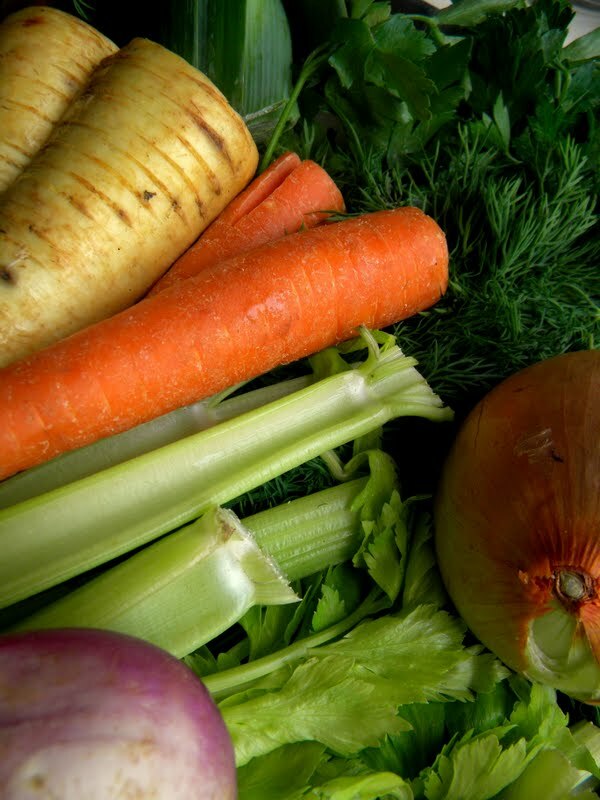 This isn't normally the kind of recipe we post, because vegan food blogs are full of these kinda all-purpose/all-delicious lentil and vegetable recipes*. We like giving you recipes you might not find somewhere else, but people have said they want more lentils than just a few soup recipes. I actually love lentils. We eat lentils all the time! So here's a recipe for a big pot of delicious lentils that you can cook up Sunday night and enjoy for your lunch all week over rice or alone. I suggest eating it with some whole wheat toast, a glass of iced tea and a loved one because if you really loved them - you feed them lentils. At our grocery store they sell discounted packs of veggies and fresh herbs labeled as "Soup Vegetables". They're less than $3 and make those fresh herbs a bit more affordable. Put all ingredients except Kale into your handsome little slow cooker and heat on high. Mix your ingredients with a large spoon every half hour. Cook for 3 hours and then add Kale. Mix your Kale in and cook for another 3 to 4 hours. Once your lentils are tender - you're done! 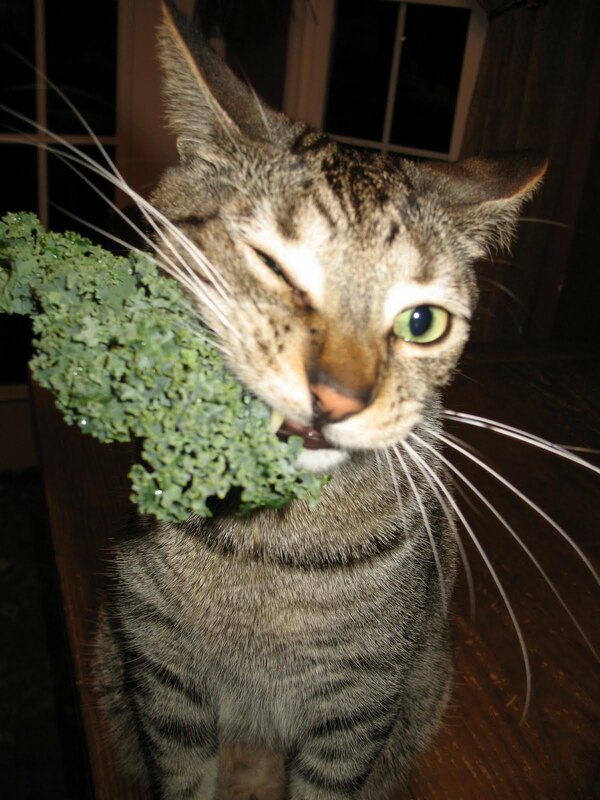 If you enjoy this photo of a kitty eating kale... check out Cats eating their way through the Alphabet! * Because they are awesome and vegans eat like these healthy goulash type of dishes a lot. We really do. They're delicious and super simple! Who wouldn't love that? 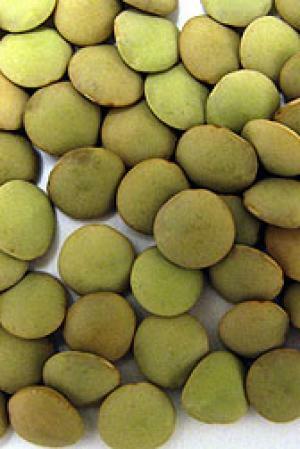 I love lentils and agree that they are indeed a best friend to me! I have a variety in jars, read for a quick cook in the pressure or rice cooker or for sprouting. YUM. Love the recipe -- bookmarked!